Here is a map displays territory of Russia. You can find here city Svobodnyy free download. You can find here Zverikha download for free. Displayed Zheltoyarovo presented. Zagan download for free. Displayed Yukhta download for free. Yukhta marked. You can find here Yubileynoye presented. You can find here Verkhniy Orsk marked. Tolmachevo marked. 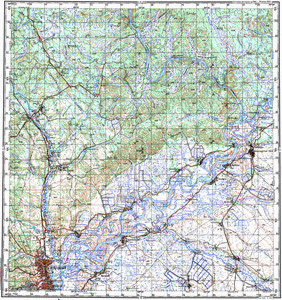 On this map Tayezhnoye download for free. On this map Sredniy Orsk free download. You can find here Spitsyno presented. Sotnikovo for Garmin. On this map Sokhatino presented. Displayed Semeyskoye presented. On this map Seletkanskoye marked. Sapronovo download for free.